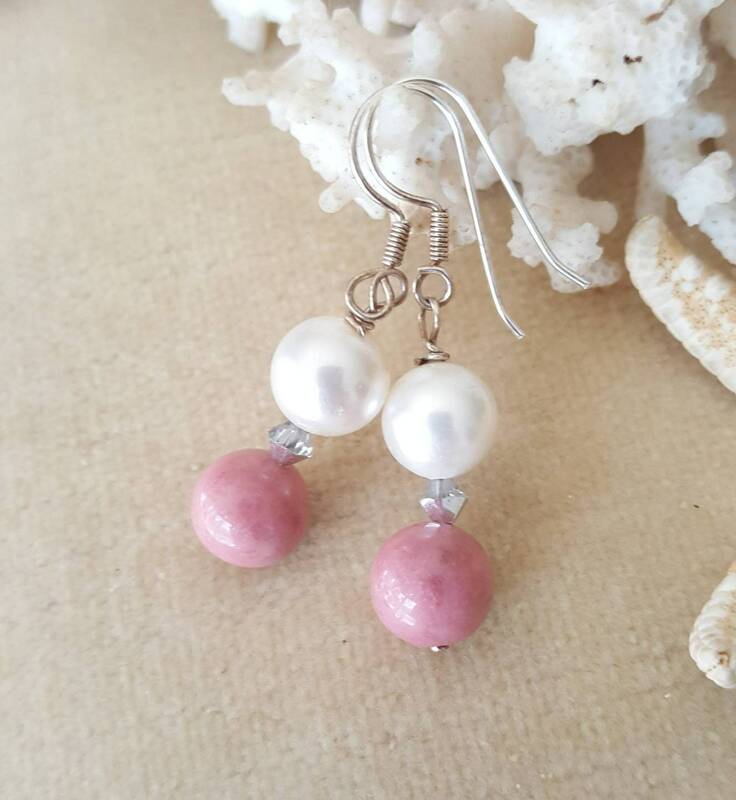 Rhodonite & Pearl drop earrings! Handcrafted with Sterling Silver and twinkling Swarovski crystals! 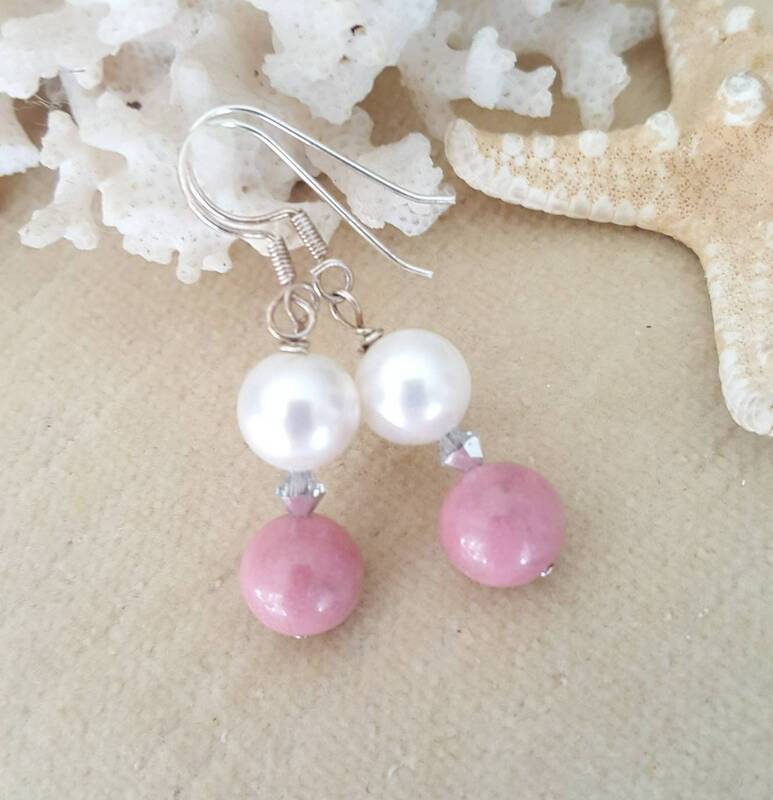 Pink Rhodonite and white pearls! 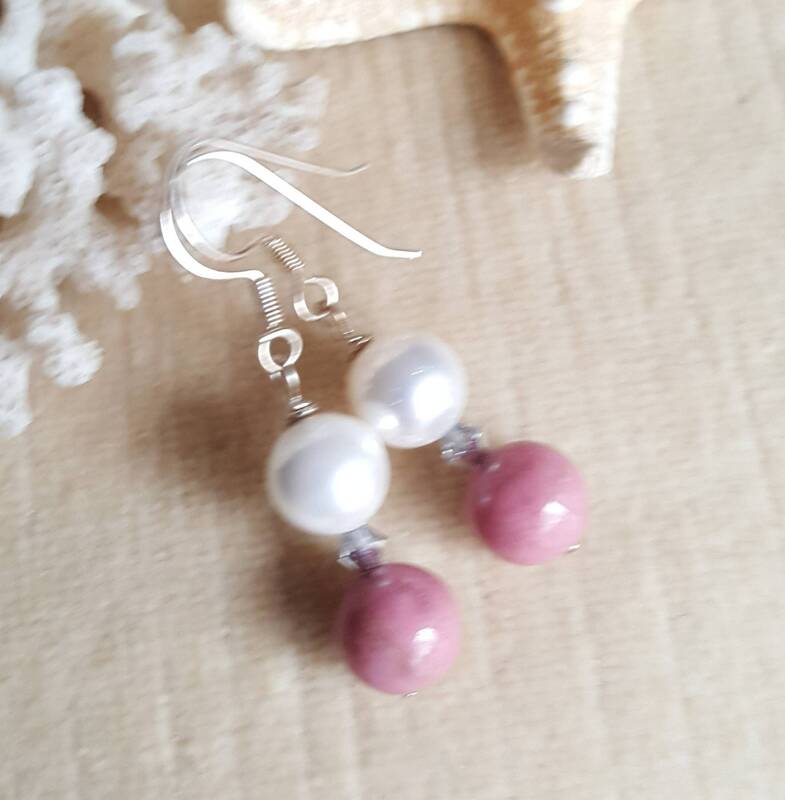 Rhodonite & Pearl dangle earrings! Handcrafted with Sterling Silver and twinkling silvery Swarovski crystals! 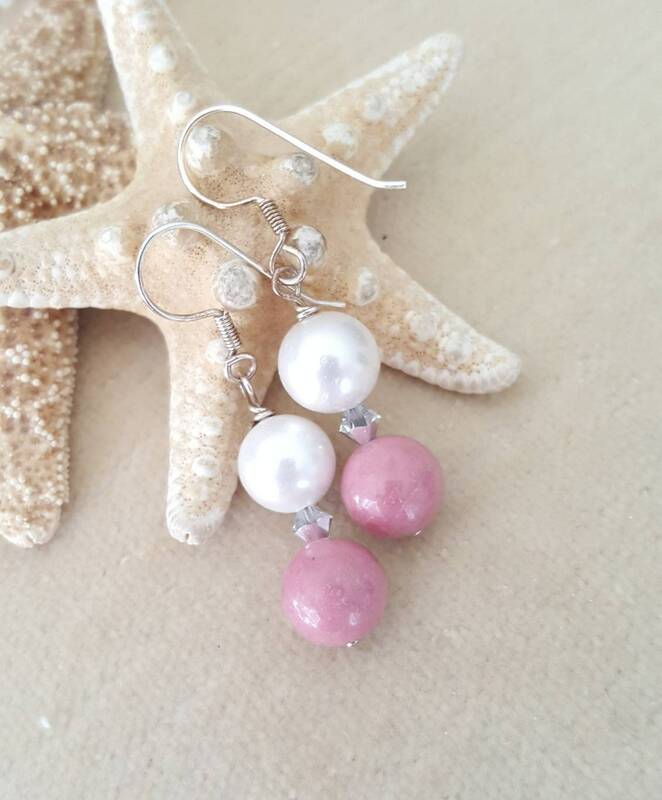 Gorgeous pink rhodonite and elegant white freshwater pearls! 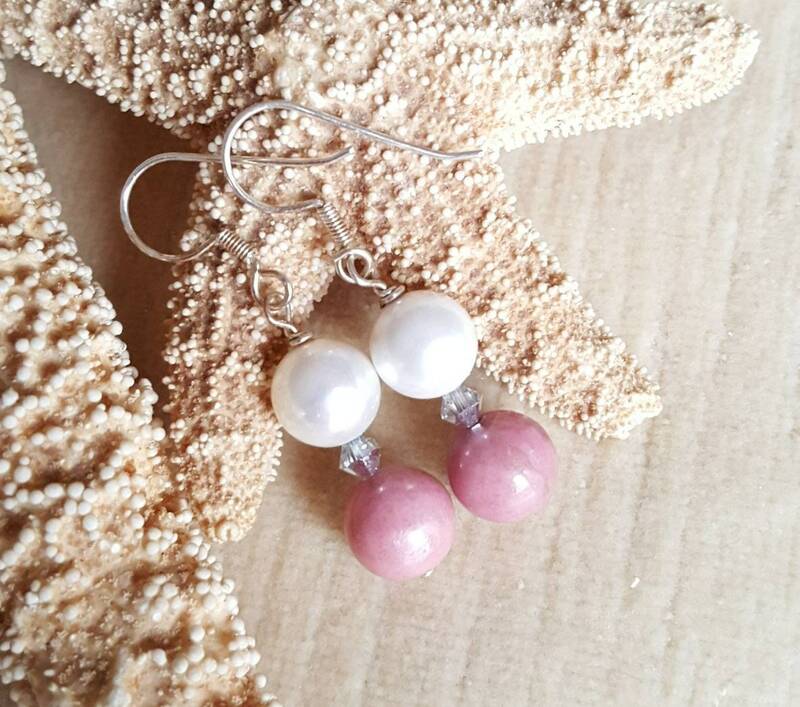 These earrings measure approximately 1 3/4 inches long from the top of the arch of the hook. All silver used is 925 pure Sterling Silver! Your entire order ships for one fee of $6.00! 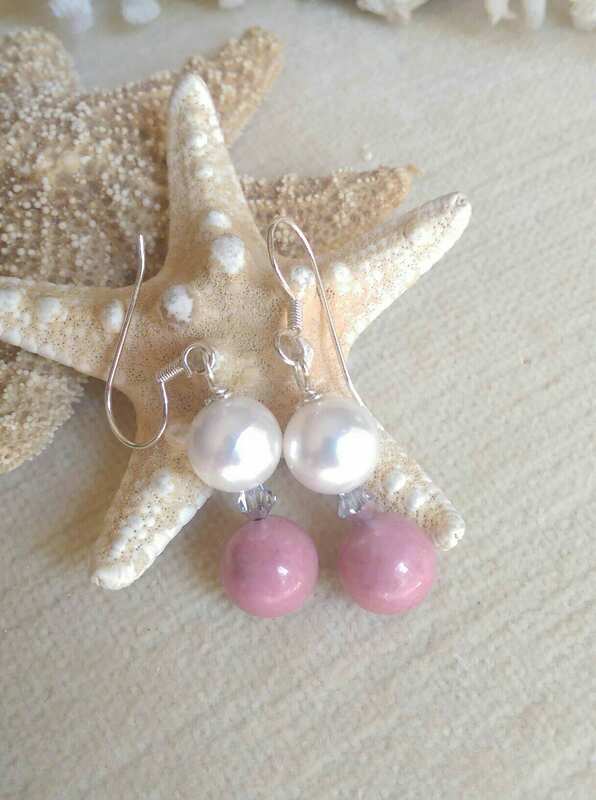 Some people believe that wearing Rhodonite helps to heal emotional wounds of the past. Some also claim that it is helpful in dispelling anxiety. 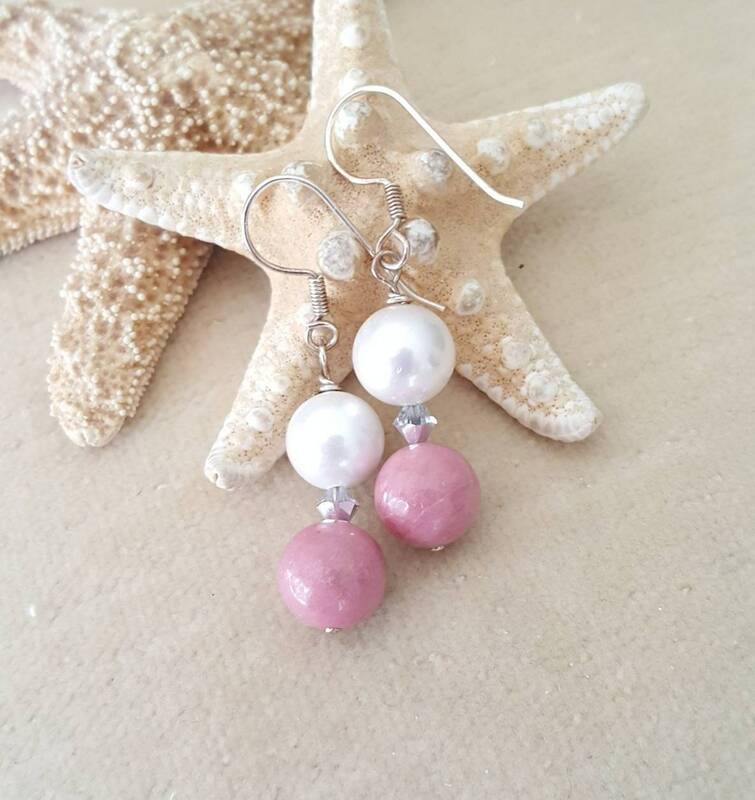 Pearls are one of the traditional birthstones for June. They are also used to celebrate the 30th wedding anniversary. 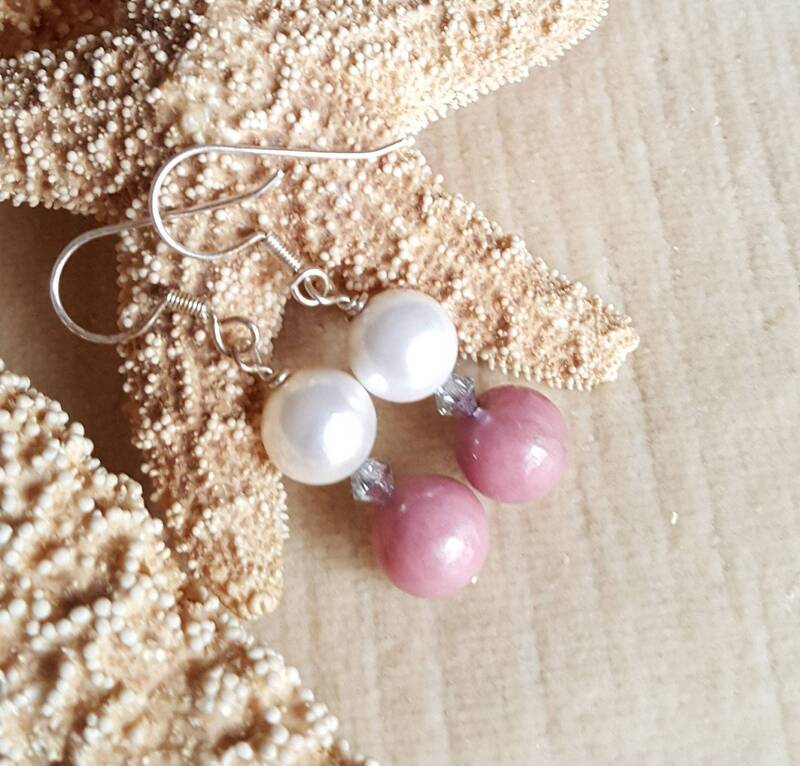 Pearls are a symbol of faith, purity, and innocence. 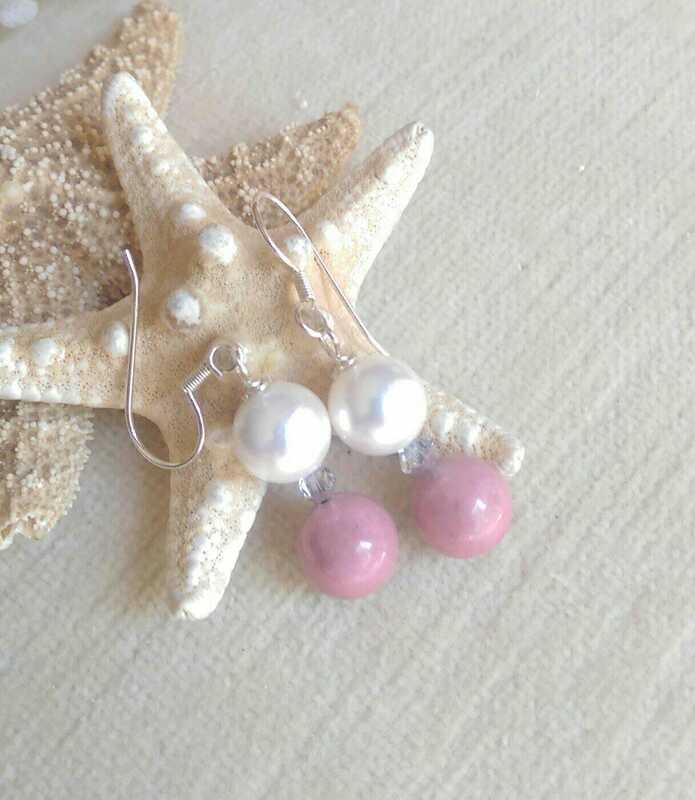 Some people believe that wearing pearls brings happiness, wisdom, and prosperity. 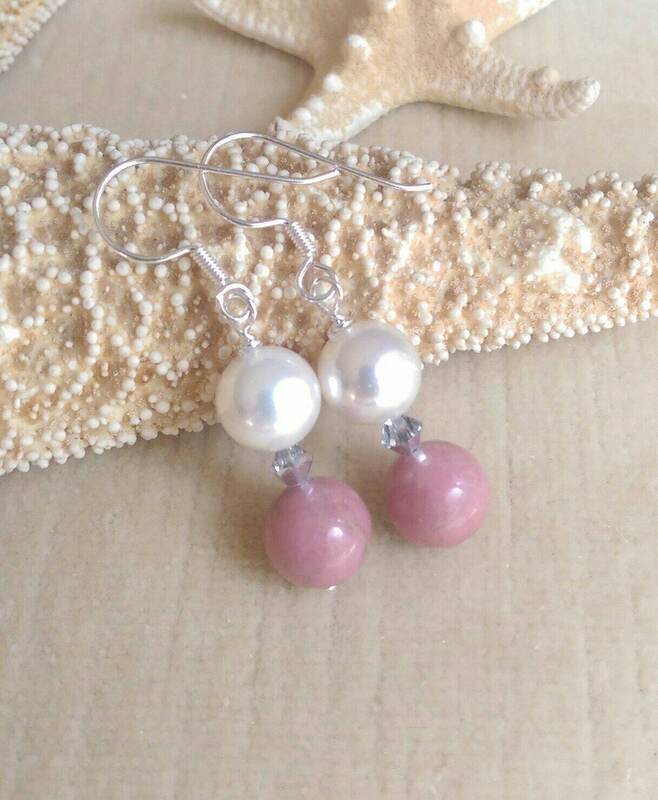 "Like" my Facebook Page, Baubles and Bling by Beth, to see new pieces as released, and to be notified of any coupon codes being offered! Payments are paid through Etsy. Credit cards, Etsy Gift Cards, and PayPal are all accepted. Your entire order ships for $6.00! I will provide refunds if you are not satisfied. Please contact me through Etsy email or convo within 7 days if you are not satisfied, and want to return your item(s). Items must be returned without any damage. Contact me through Etsy if you have a custom order. I am happy to work with you to create something you will treasure always!